Abducted to 1763, Peter Schock and Kate Dyer begin to understand that history has reached a tipping point. The antigravity machine is in the hands of the cruel and ambitious Lord Luxon -- who has set his sights on the most valuable prize of all: America. He is determined to manipulate time to his advantage, no matter what the cost. The stunning conclusion to the critically acclaimed Gideon trilogy finally reveals the fates of Peter, Kate, Gideon, and the universe itself. 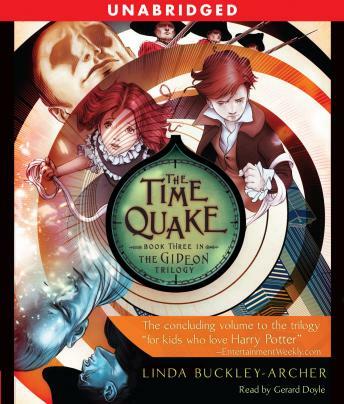 This long-awaited book lives up to the promise of The Time Travelers and The Time Thief, delivering a rousing historical adventure that will have readers of all ages on the edge of their seats.